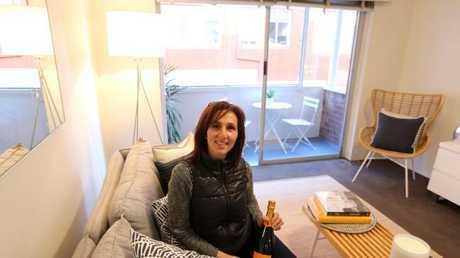 A SYDNEY mum has just spent $900,000 on a "bargain" apartment for her eight-year-old son. 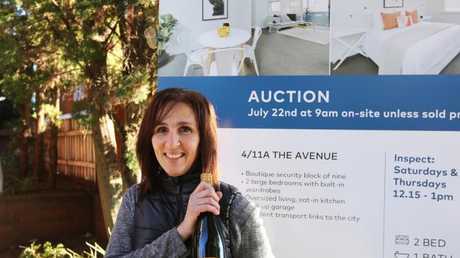 Tania Katsanis won a bidding battle for the two-bedroom, one-bathroom unit in eastern suburbs Randwick at auction this morning, according to realestate.com.au. The unrenovated 1960s unit on The Avenue went for $904,500. "It's a nice quiet street and I think it's a great apartment," Mrs Katsanis said, describing it as "my son's future." She said she would rent out the property for up to $650 a week until son Andrew, 8, decides whether he want to live in it. The male vendor of the property said Ms Katsanis said she had "got a bargain", and according to the latest analysis from experts, he could well be right. Prominent economist Chris Richardson this week said gravity may have finally caught up with the "stupidity" surrounding house prices in a welcome relief for buyers like Ms Katsanis. However, he also predicts official interest rates will start rising from next year. In the latest Deloitte Access Economics business outlook, released on Monday, Mr Richardson warns the home building boom of recent years will start to peter out, having been a key prop for the broader economy. "The pace of home building is set to shrink further amid increasing evidence that gravity may soon start to catch up with the stupidity in housing markets," he said. Separate new figures show over the past financial year the combined value of capital city dwellings increased by 9.6 per cent, greater than the 8.3 per cent rise over 2015/16. Still, the Corelogic data showed stark differences in price changes across the country. In Sydney, prices rose 12.2 per cent over the past year, the fifth successive year in which values rose and pipped the 11.3 per cent of a year earlier. Melbourne also recorded price gains of 13.7 per cent, the greatest increase over a financial year since 2009/10.